George Cukor's Gaslight is a claustrophobic Gothic suspense piece, a haunting psychological thriller about marital control and manipulation. The beautiful young Paula Alquist (Ingrid Bergman) is devastated by the grisly murder of her aunt Alice, a famous opera singer who had raised Paula from birth. Shocked and wounded, Paula leaves behind the London house where she grew up and goes away to study music like her aunt. She soon enough finds happiness in the arms of the charming pianist Gregory Anton (Charles Boyer), and the couple are married and return to the home where Alice was murdered. Paula is convinced that with her new husband she can finally forget the horrors of the past and create a new life there for them. However, once they arrive, Gregory's demeanor changes almost instantly. He begins assuming tighter and tighter control over Paula's life, forbidding her from having any visitors or going out and, through an accumulation of small incidents and details, slowly convinces her that she is going mad. The film places its audience in a situation analogous to Paula's, trapped and tortured and manipulated by the overbearing Gregory. His vice-like grip on her mind is infuriating, and the film is frustrating to watch — a measure of how effective it is in conveying the cruel manipulations of its villain. Boyer is terrifying and sinister, with his rigid formality occasionally breaking down, revealing flashes of the monster beneath his cultivated façade. He projects quite a lot through the simple narrowing and widening of his heavy-lidded eyes, which slim down into thin slits and then suddenly open into an intense, fiery glare. 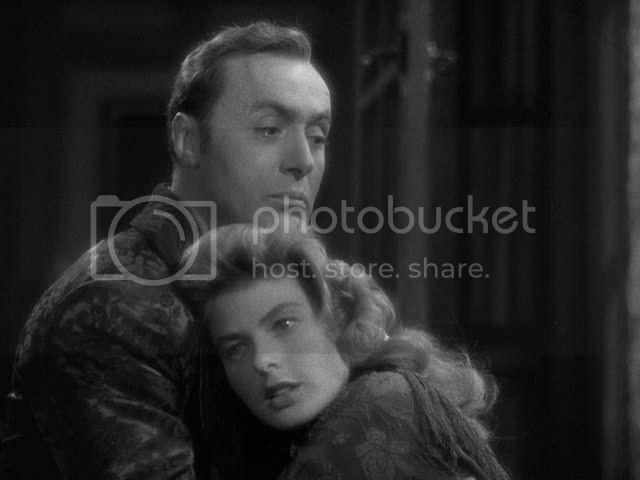 It's a nasty, finely tuned performance, but it's certainly not much fun to see him reducing the noble, lovely Bergman into a cowering, stammering, confused mess, unsure of her own mind, half-convinced that she's losing her sanity. Of course, it is never in doubt for the audience what's really going on: Gregory is the one who murdered Alice, and he's now manipulating the dead woman's niece for some obscure purpose of his own. His guilt is all but confirmed by the way he reacts, early on, to the discovery of a letter sent to Alice just two days before her death. It's an obvious cue, and the audience instantly knows what Paula will take the entire movie to discover: this man is a purely evil murderer. As a result, Gaslight is a form of highly refined cinematic torture, watching the disintegration of this lovely woman's mind and all the while knowing exactly what's really happening. The suspense in the film arises not from any mystery about what's going on, but from the simple, stomach-churning tension of the situation, as well as the unspoken questions bubbling just beneath the surface at every moment: when will Paula wake up? When will she realize what's going on? Cukor toys with this release, and there's a great scene where Paula, finally fed up with her husband's iron fist, devises a minor revolt by resolving to go out for a party. Bergman's sly, proud smile at herself in a mirror, dressed in a lavish white gown, is a reward for the audience and herself for enduring this torture. This victory is short-lived, however, and ultimately the film's most frustrating quality is that it doesn't allow Paula to solve her predicament herself. She remains, throughout almost the whole film, the helpless, weak, easily controlled woman she seems to be right from the start. It takes the deus ex machina intrusion of a knight in shining armor, the Scotland Yard assistant inspector Brian Cameron (Joseph Cotten), to finally shake Paula out of her stupor. Cameron is awkwardly inserted into the plot, simply appearing at intervals spying outside the couple's home, led on only by vague intuition. His role in the film denies the audience the satisfaction of a more feminist resolution: Paula fighting back for herself, redeeming herself. The film subjects Paula to such extremes of suffering at the hands of a man that even the suggestion of a newly blossoming romance between Paula and Cameron at the denouement is somewhat distasteful — no sooner is she free of her murderous, monstrous husband than she seems to be gravitating towards a new coupling to replace her destructive marriage. Cameron's presence in the film succinctly states the limitations of classical Hollywood: even in a film about the horrors of romance, the film can't manage to present a more compelling solution than simply a better romance. Still, despite Cameron's part in triggering Paula's belated recovery of her identity and strength, the ending does provide a stunning and deeply satisfying showdown between Paula and her tormentor. Before he's hauled off by the police at the end, Gregory is displayed to Paula trussed up and tied to a chair, their positions finally reversed, with Gregory at last helpless before his wife. True to form, he tries to manipulate her into freeing him, but discovers that he has lost his hold on her. In a marvelous scene, Paula taunts and cajoles him, bitterly mocking him, teasing him with the possibility of freedom before turning him over to the police. The film is a barbed satire of society's contempt for women, and particularly the tendency to reject their concerns, to label them mad, to threaten them with the asylum. Paula's final opportunity to turn the tables on her husband is thus especially satisfying in that she's able to turn his words back on him, to take the words that he used to control her and turn them to her own purposes. It's a complex and potent scene, and Bergman's performance, sensitive and multi-layered throughout the film, is here extraordinary, a masterful display of passion and long-delayed rage spilling over. Cukor lavishes attention on the film's atmosphere and setting, perfectly capturing a vision of period London: flickering gaslight lamps, foggy gray streets with rain-streaked stone walks, velvety shadows draped over every surface. In this respect, Bergman's face is treated as a surface as well, brushed with the warm glow of the lamps, the shadows tracing along the rounded edges of her cheek bones, the light playing within the depths of her wet, expressive eyes. Cukor frequently highlights his main actress in closeups, often lingering on nearly silent shots of her simply looking around. The direction is finely attuned to the nuances of her performance, the movement of her eyes, the way she holds her face, the subtle touches with which she fleshes out her character and makes her suffering palpable. Even when the focus isn't on Bergman, nearly every frame of the film is sumptuous and enveloping, a study in the oppressive, womb-like atmosphere of this dark, shadowy house. Cukor's attention to detail, coupled with the great performances of the two leads, makes it easier to overlook the film's shortcomings, but it's undeniable that the script is a silly and contrived piece of work. 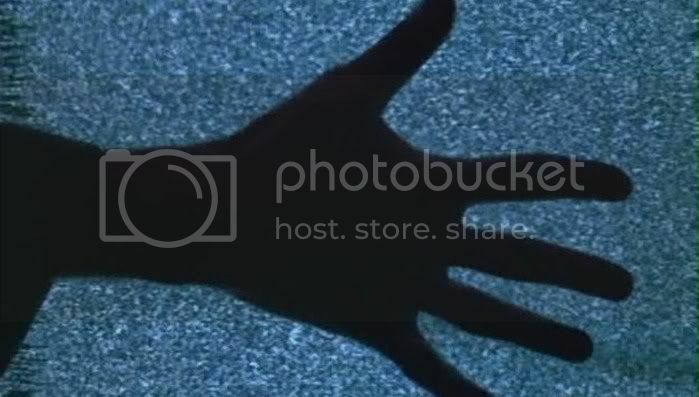 With the exception of the confrontation between Paula and Gregory, the final act dissipates the film's eerie atmosphere into banality, particularly once Gregory's motivations for what he's done become known. On the plus side, the airless claustrophobia of the plot is relieved slightly by the sporadic presence of a trio of fine character actresses in bit parts: the house's near-deaf cook (Barbara Everest), the couple's gossipy, murder mystery-loving neighbor (Dame May Whitty) and the tart, snippy young maid (Angela Lansbury in her first role; though why Gregory would show her the least bit of amorous attention with Ingrid Bergman right upstairs is one of the film's most insoluble mysteries). Gaslight is at times frustrating and doesn't go far enough in exploring its ideas about marriage and gendered power struggles, but it's nevertheless a dark, interesting chamber thriller. Excellent review. I have to admit to having a particular soft spot for this film, and the scene when Paula finally turns the tables on her husband is my favorite part. A fine post about a great film. The two leads were at the top of their form, and that seems to make up for certain weaknesses in the film you mention. Thanks, Caitlin and Jacqueline... It's a fine film, not one of Cukor's best (or his most characteristic), but really driven by those great central performances. And the ending is stunning. Beautiful description writing throughout of a solid enough 'chamber thriller' that admittedly doesn't probe as deeply as it should have. It is certainly a feast for the eyes though, and the performances are surely striking. The British version from 1940 by Thorold Dickinson, which stars Anton Walbrook and Diana Wynyard is easily a stronger film for a few reasons, not the least of which is a stronger fidelity to its source. You're exactly right about the film not allowing any kind of evolution for Bergman's character. It's just about the only thing that holds me back on the film, which is just stunning from first frame to last (it might be Cukor's most gorgeously photographed film). As you say, she is helpless throughout the entire film, and we're deprived the catharsis of her ever becoming self sufficient. She just kind of goes from one care-taker to the next. Unusual for a director as feminist-minded as Boy-George Cukor. But you don't think it's one of his best, really? I can't think of too many of his that I prefer. Thanks Sam - I'll have to check out the British version too at some point, I'm curious about it. Ryan, if you ask me Cukor's best are Holiday (one of my favorite films) and The Philadelphia Story. This just doesn't rank in the same tier for me, though it's certainly a good film in a lot of ways. 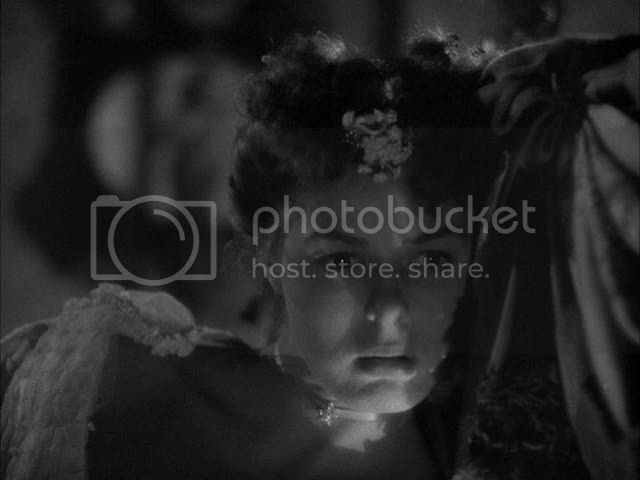 I need to see more Cukor, though. I'm so pleased you posted this enlightened piece on one of my all-time favorite films from the 1940s. "Gaslight" always had a strange hypnotic quality that remains even today. Bergman was so believable in a role that could have easily lead over into hyper-melodrama. The things she did with her eyes, her poise, her mouth were superior, especially in her silent realization of (perhaps) slipping into madness. Boyer was the essential cad, with just enough snotty quality to make the audience love to hate him. Cotten was dependable as ever, and Miss Lansberry made an impressive debut. Great film. Great story. Great direction! Great acting!